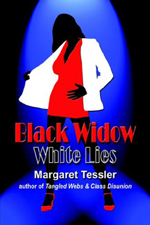 Margaret Tessler is the author of the Sharon Salazar cozy mysteries, five of which have been finalists in the New Mexico/Arizona Book Awards. Her most recent novel, Relative Danger (2017), was originally planned as the 7th in that series but instead developed into a mystery with a new protagonist and a new setting. You’ll find Margaret on her website at Abq-Talespinner.com and on Facebook. What is your elevator pitch for Relative Danger? I have two, depending on how many floors the ride takes us: 1) When the family pariah returns to town, she unleashes chaos; and 2) Becca Sandoval must uncover the reasons for the hostility generated by the family pariah and learn what’s behind the sinister order she’s joined. Tell us about Becca, your main character. At one point, Becca describes herself as being like “everyday people.” She’s down-to-earth and unpretentious (her musical tastes include both Alan Jackson and Chopin). She has a good sense of humor. She’s basically kind and sympathetic. People find it easy to confide in her. But her halo isn’t firmly planted, and she can be snarky when the occasion calls for it. One comment I often get from readers is that they like the solid, healthy relationship between Becca and her husband Diego in Relative Danger, and between Sharon and Ryan in the Sharon Salazar series. I kept getting interrupted in my writing, so it took two years to complete. I shared the story with my two critique groups, which I call my “editorial committee.” In addition, I have three or four beta readers who added their input. Their combined feedback was invaluable. 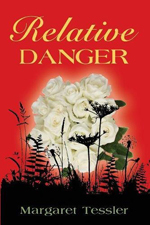 Relative Danger is a departure from your six-novel Sharon Salazar mystery series. What challenges did this new work pose for you? Originally, I had planned the story as the 7th in the Sharon Salazar series. Then I was fortunate to find two agents who expressed interest in the initial pages of the story. Unfortunately, they wouldn’t accept something that was part of an ongoing series. Since I’d written only a few pages at that point, I decided it would be simplest to change the names of my characters and set them in Albuquerque instead of San Antonio. I figured if that didn’t sell, I could always go back to my original version. However, as I continued writing, I discovered I liked my new characters and liked keeping them in Albuquerque. Although the personalities and careers of the main characters (Becca and Sharon) are similar, I needed to find ways to set them apart. For example, Sharon has a difficult relationship with her mother; Becca has a very warm relationship with hers. What’s the best compliment you’ve received as an author? I’m always gratified when people tell me they can’t wait for the next book to come out. I’ve also been pleasantly surprised by the number of people who enjoy re-reading my books. What does a typical writing session look like for you? What do you absolutely need in order to write? “Typical” for me is mostly hit and miss. It might sound counter intuitive, but I find that writing sparks inspiration and not the other way around. What I absolutely need is to park myself in front of the computer, quit looking for excuses to procrastinate, and start writing. 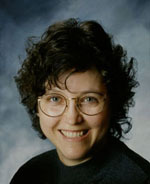 You published a memoir, Life in the Slow Lane, in 2004. What was the hardest thing about writing that book, and what was the easiest? The easiest part was that I could use material I’d already written over a period of eight years: weekly family letters plus a daily journal. The hardest part was deciding what to filter out so the book wouldn’t wind up with 100,000 pages. What do you love most outside of writing and reading? I have a large extended family, so family activities account for a lot of my time. I also enjoy gardening, and I like to sing and play the ukulele. Do you have a writing project you’re working on now? I’m working on a lighthearted mystery with multiple viewpoints that’s totally different from my other novels. It’s giving my brain a break! Margaret, I’ve been amiss, and I really did MISS this. Great interview. So fun to learn “the behind-the-scenes Margaret. ” Can’t wait for you to get back to your newest lighthearted mystery. Park it, kiddo!